Tickets are now available for their three live November shows: "What I Learned From Doctor Who", "The Other Splendid Chaps: The Companions" and "Eleven/Future". In the first of these three shows, the Splendid Chaps are doing a special bonus episode talking about what they’ve learned from Doctor Who! Born in part as an educational program, with Sydney Newman wanting no “bug-eyed monsters”, Doctor Who has often sought to educate us about our world – and the Universe beyond it. But over the years, as the traditional educational content about history and science faded away, it still brought us concepts and ideas – Buddhism, mythology, ethics, politics, friendship…there’s so much to learn from the Doctor! Ben, John and Petra Elliott will be joined by comedian, actor and teacher Rob Lloyd (Who, Me. ), and writer and editor Liz Barr (Chicks Unravel Time and its impending sequel) for a discussion of what Doctor Who has taught them. Plus prizes, surprises, all the usual Splendid Stuff, and a live poetry performance from the one and only Emile Zoey Baker! 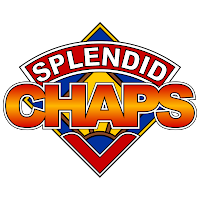 In their second show for November, the Splendid Chaps are back with another bonus episode, this time at the Melbourne City Library as part of its Doctor Who Festival, talking about those other splendid chaps – the companions! Companion, assistant, sidekick…none of these names really do the role of TARDIS occupant and time-space adventurer justice. In fifty years the Doctor has had almost as many fellow travellers aboard the TARDIS – most human, but also a few robots, aliens and fellow Time Lords. Exactly who counts varies depends on who you ask, but they’ve always been understood to be our point-of-view character; a proxy for the audience who will ask the Doctor to explain what on (or off) Earth is going on. Who are these people? What do they teach us about ourselves, the Doctor, and our changing society? Are they really there to get in trouble, pass the Zeus plugs and make the Doctor a better person, or is there more to them than meets the eye? And how different is the new series’ attitude to its supporting characters? Ben, John and Petra will be joined by writer, director and podcaster Lucas Testro (Neighbours, Winners and Losers, NonCanonical), and broadcaster, documentary maker and podcaster Marian Blythe (3RRR, Boxcutters 2.0) to talk about the rest of the TARDIS crew. Plus prizes, surprises, loveliness and a live musical performance of a lost Doctor Who classic tune from Emma Heeney! Finally, their eleventh and final(ish) major episode brings then to the (still) current Doctor, Matt Smith. Splitting fan opinion on his announcement, in part because of his youth and obscurity, he soon won over audiences with a performance influenced by Patrick Troughton. This was also the biggest time of change in the revived show’s history, with not only a new Doctor, but a new production team, headed by fan favourite writer Steven Moffat, bringing a definite new feel to the show. As Splendid Chaps draws to a close, the Chaps want to look forward as well as back, and so take as their theme the future. The Doctor in the old series and the new has often looked forward in time, whether a few decades, a few centuries, or even millions or billions of years. How has the show depicted the future? Has it tried to be predictive, or to express our hopes and fears? And what of the future of the show itself? With Matt Smith leaving, what does the future have in store for Doctor Who? Podcast: not yet available; released 23 November 2013.